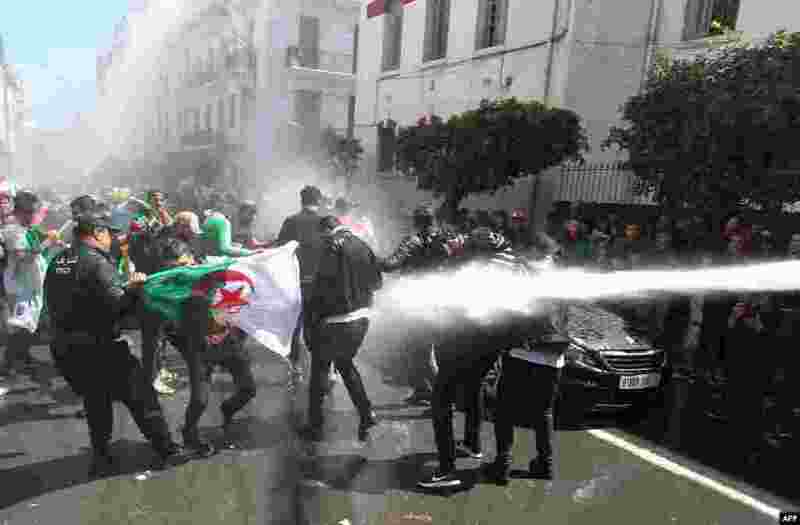 1 Algerian security forces use a water canon to disperse students taking part in an anti-government demonstration in the capital Algiers. 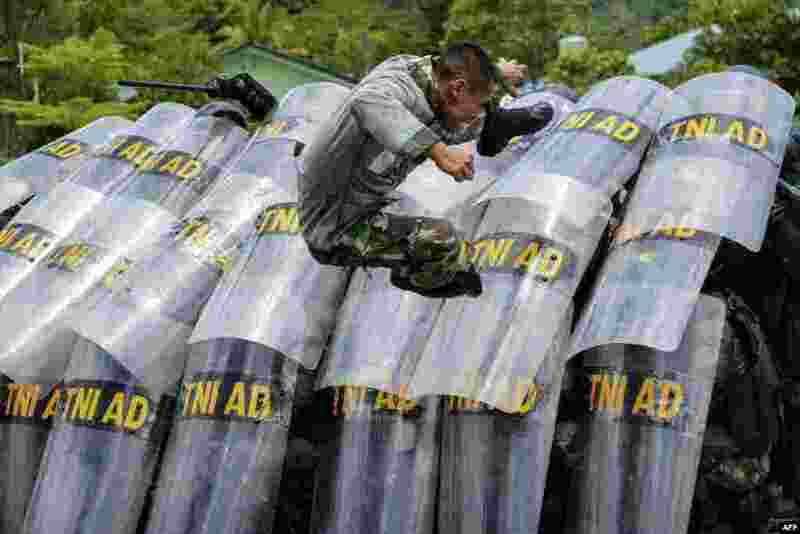 2 Indonesian soldiers take part in a handling riots practice ahead of the elections at their military home base in Banda Aceh, Aceh province. 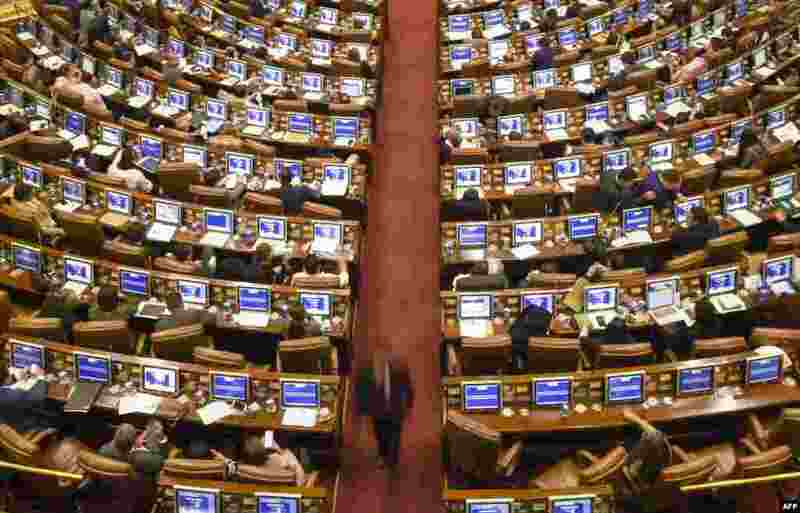 3 Colombian congressmen attend a plenary session on the government's lodging of objections to the Special Jurisdiction for Peace (JEP) at the National Congress in Bogota, April 8, 2019. 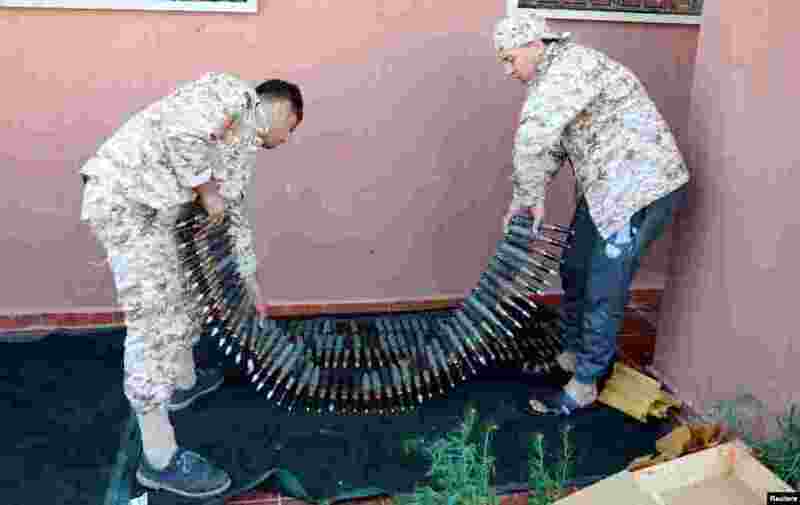 4 Members of Misrata forces, under the protection of Tripoli's forces, prepare to go to the front line in Tripoli, Libya.